Here is some information from National Wildlife Federation regarding seeds for Milkweeds. and more about the native milkweeds in each of our states. MaryEllen O'Brien shared this link with us that clearly explains the issues surrounding the planting of Tropical Milkweed,Asclepias Asclepias curassavica, the summer blooming annual milkweed that we see sold in most nurseries and garden centers. Paste this link in your browser and watch the little video. Abby Coffin found this wonderful list of Milkweeds that grow in each state. Here is the link. To see information on all our Milkweeds, and images of the many members of the Genus Asclepias (Milkweed) check out plantipedia.com , and then type Asclepias in the fied for Botanical Name. 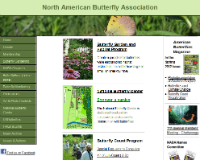 Fall Monarch Migration updates from Journey North. More details about how to sterilize milkweed for your caterpillars to minimize the OE - Trecia Neal - NABA "OE is everywhere. Here is the protocol from the Univeristy of Georgia. Tip # 1: Sterilize all materials that contacted larval and adult monarchs, including rearing containers, flight cages, and countertops, with 20% bleach solution. Soak plastic ware and fabric for a minimum of 4 hrs in a basin filled with bleach solution, and allow to soak overnight if possible. Bleach surfaces that contacted monarchs several times daily. Sterilize butterfly nets that may have contacted infected adults. Tip # 2: Always wear disposable gloves when handling milkweed, tubs, larvae and adults. Change your gloves frequently while working! This will prevent spreading infected spores to healthy monarchs. keep the plants indoors or away from potentially infected adults. Soak wild milkweed cuttings in 10% bleach solution for 20 minutes, then rinse thoroughly with tap water before giving it to the larvae. Tip # 4: Rear larvae in washable (and bleachable) tubs, at the lowest densities possible (ideally, 1 larva per container, or no more than 10 per container). When finished, bleach all tubs before using again. Tip # 5: If any pupae turn brown, black or grey before the adults eclose, they're probably infected with OE (or another pathogen) and must be removed (and frozen) before they eclose and spread spores to the other individuals. Click here to see other possible signs of OE. Tip # 6: When the adults eclose, they should be removed from the container as soon as their wings have hardened (within 8 hrs), placed in individual glassine envelopes, and checked for OE (see instructions here). Freeze any infected individuals. Everything that touched that infected adult must then be sterilized (bleached) thoroughly. It is important to remember that OE spores can persist for many years and tolerate a wide range of temperatures and external conditions. Therefore, careful examination of monarchs and surface sterilization with bleach is necessary to prevent continued transmission. Interesting Moanrch caterpillar feeding behavior - Trecia Neal- NABA "Yes, they prefer the youngest tender leaves. That is why I cut my milkweed back in July so they will have fresh leaves in the fall to lay on. The first instars can get their mandibles stuck in the latex if they are not careful. They have a very interesting behavior when they are first born. After they eat their eggs they will cut a horseshoe shaped notch in a leaf vein to cut off the flow of the latex to the leaf so that they can eat without fear of getting their mandibles stuck. When they are bigger they will leaf notch the main petiole first before the begin to feed at the end of the leaf." Details about the OE protozoan parasite and how it affects the Monarchs. Here is the more general information page for this information on Monarch Health. The petition has generated a great deal of discussion via social media, our discussion list (Dplex-L) and among groups as diverse as collectors, amateur butterfly enthusiasts and commercial butterfly breeders. There is a great deal of concern as to how threatened status would affect how we all interact with monarchs whether it would be through collecting, rearing, tagging or various forms of monitoring. These concerns are heightened by the presumption that a decision on this petition could happen soon. Further, there is some confusion about the terminology and process involved in designating a species as endangered or threatened. The following paragraphs are intended to help clarify some of the issues associated with the petition. We need to be clear on the terminology. “An ‘endangered species’ is one that is in danger of extinction throughout all or a significant portion of its range. 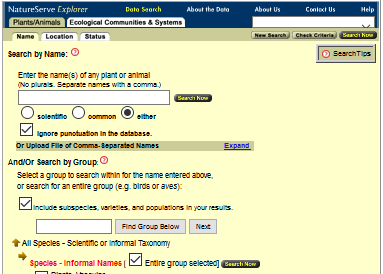 A ‘threatened species’ is one that is likely to become endangered in the foreseeable future throughout all or a significant portion of its range.” (fws.gov/endangered/esa-library/pdf/listing.pdf). Monarchs clearly aren’t endangered. This petition requests threatened status for the monarch based on the presumption that the monarch migration is threatened due to the loss of a significant portion of its breeding range in the upper Midwest, i.e. the corn belt. But, is it? That’s a matter of evidence and interpretation. As this discussion proceeds, we need to make it clear in all communications that it’s about the migration and not the species per se. The Fish and Wildlife Service has 90 days to respond to the petition. It’s likely they will accept the petition for further evaluation and will set a date for a public comment period that will start in about 15 months. This will be followed by further evaluation, perhaps requests for additional data, etc. Most of these petitions require lengthy reviews and revisions. 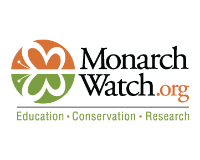 Due to the large number of petitions for threatened and endangered status for a wide range of plants and animals, the significant number of high priority cases under consideration and personnel limitations at Fish and Wildlife, it could be many years, 5 at a minimum, possibly 10 or more, unless the monarch decline accelerates, before a determination is made as to whether monarchs are deserving of threatened status. My understanding is that most proposals of this type are repeatedly deferred – some for as long as 20 years. Petitions of this sort can have both positive and negative consequences. On the positive side, they tend to rally the advocates, draw broader attention to real conservation problems and attract funding that can help mitigate the problem. On the other hand, private landowners and other groups that have an interest in the status quo often challenge such proposed conservation measures. The fear of regulation, or the possibility of the government telling landowners what they can and can’t do with their land, rallies the opposition. This polarization can become political. There are a number of ongoing battles along these lines. Monarch conservation needs to remain apolitical and will be best served if we engage landowners rather than drive them away. The petition ends with a request for critical habitat designation (p 113). With statements such as “‘Of equal or more importance is the determination of the habitat necessary for that species’ continued existence… If the protection of endangered and threatened species depends in large measure on the preservation of the species’ habitat, then the ultimate effectiveness of the Endangered Species Act will depend on the designation of critical habitat.’ H. Rep. No. 94-887 at 3 (1976).” But nowhere in this section, or elsewhere, is it clear what critical habitat means in the case of monarch butterflies or how it might be designated and protected. Designations of critical habitat will have to be carefully crafted to avoid a backlash from landowners. It is clear, as we have pointed out many times, that the monarch population is in decline due to loss of habitat. The petition is all about protection and covers habitat loss in great detail. However, protection alone will not stop the decline in monarch numbers. Unless we collectively address the annual loss of habitat with a significant recovery plan that restores at least 1-1.5 million acres of milkweed/monarch habitat per year – the eastern monarch migration will dwindle further to the point where it will be truly threatened. It’s been evident for some time that, petition or not, we have to restore habitats for monarchs. (monarchwatch.org/blog/2014/03/monarch-butterfly-recovery-plan/). Monarch Watch is engaged with a large number of colleagues in discussions about how to provide more habitat for monarchs. The White House supports these initiatives through the Presidential Memorandum of 20 June. We are making progress with these discussions, and the goal is to implement broader conservation measures by next spring. If we (the monarch community in general) can create the needed partnerships and collaborations and obtain significant funding, the monarch migration can be saved. Saving the monarch migration is one of the easier conservation challenges we face. Let’s do it! 8/27/14 This petition is before the Secretary of the Interior to have the Monarch listed as a threatened species. The rationale is carefully crafted, and specifically allows us to continue to raise and help the monarch migration, yet sets up the priorities to protect it on the national international level. Finally "they" have started to arrive in Center Harbor NH!! !Saw Two females this morning on the edge of the plowed acreage, and another flipping up the hay field and now a male is patrolling the Buddleja near the house. Altho the hay was cut this week there is a nice stand of milkweed in the valley between the fields. I'll keep checking for caterpillars to hand raise... as the survival rate in the wild is about 1%. If you are raising Monarch caterpillars, NABA recommends washing the milkweed you are feeding to them w a solution of 10% dish soap and water to remove pests and debris, and then rinse them again with clean water. Here is the link . Here is a link to the Monarch site that shows where the Monarchs have been seen this week. Click on the llittle circles on this map to see where they are.. and if you see some in your area let them know and they will add your circle to the map! You can help the Monarchs by collecting seeds from your milkweeds and sending them to Monarch Watch. 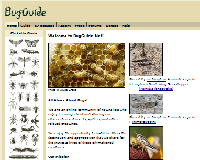 Here is the "how to do it" link to the Monarch Watch web site, explaining how to collect and process your seeds. Here is the link to the Xerces Society's seed source list with information regarding current thinking on host plants for Monarchs. Aclepias syriaca - the common milkweed, is found in pastures, along roadsides and in weedy areas around croplands. For us, in New England, it is the primary host plant for Monarch caterpillars . It has large paddle shaped leaves, and the flowers smell deliciously. This image is from the NEWFS collection of the images by Adelaide Pratt, former member(now deceased) of the Chestnut Hill GC. Tropical Milkweed is an annual for us in New England, as it is killed by frost. It is easy to grow from seed and is considered by many to be the best/easiest food source for hand reared Monarchs, and by others a potentially dangerous choice (see article above).